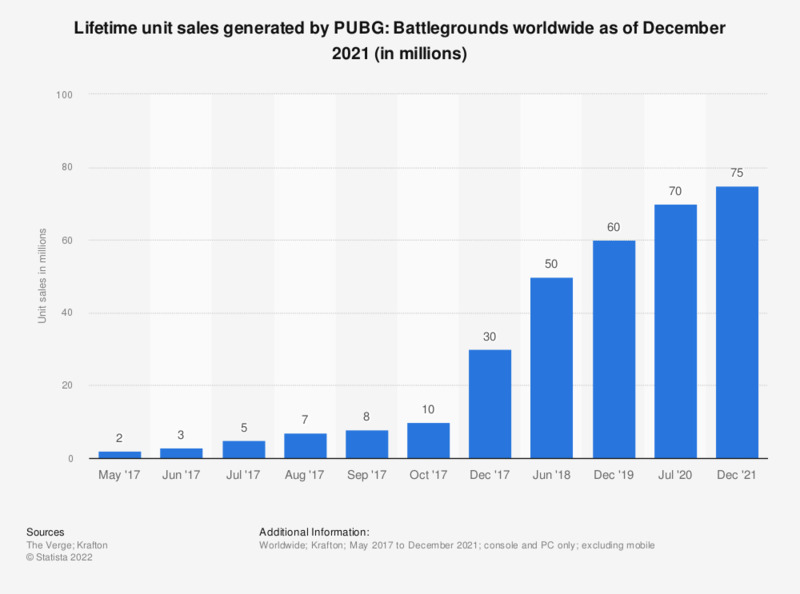 The statistic shows information on the number of console and PC players of PlayerUnknown’s Battlegrounds (PUBG) worldwide from May to December 2017. According to the estimates, the battle royale game developed by Bluehole crossed the 50 million player base mark in June 2018. What is more, on September 23, the game managed to break DOTA 2's record on Steam, reaching 1.52 million peak concurrent players that day. Figures for periods prior to June 2018 come from earlier reporting.